Home Blog Mesothelioma Are Mesothelioma Treatments Available? Chances are that you’ve heard the buzz words in TV ads and news articles: mesothelioma. Asbestos. How much do you really know about mesothelioma, though? Did you know it can show up decades after you’ve been exposed to asbestos? It’s not just former factory workers and construction workers who are at risk for mesothelioma. Research shows that there is no level of asbestos exposure that’s safe. That’s why it’s important for everyone to educate themselves about mesothelioma. Here’s what you need to know. Mesothelioma is a rare and serious type of cancer. It’s a cancer that begins in your mesothelium: a thin tissue that covers many of your internal organs. 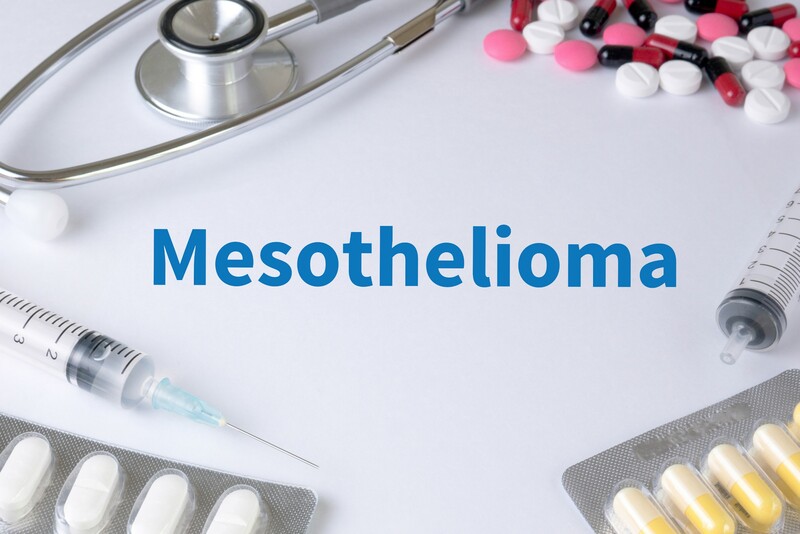 There are several types of mesothelioma depending on which areas of mesothelium it affects. The most common type is called pleural mesothelioma. This illness develops in the mesothelium around your lungs. Other types of mesothelioma are rarer. These include mesothelioma in the abdomen, around the heart, or around the testicles. As with other cancers, mesothelioma can spread and impact other areas of the body. However, the illnesses are still categorized based on where they began. Mesothelioma is always a heartbreaking diagnosis because it’s an aggressive type of cancer. That doesn’t mean there isn’t hope, though. There are a variety of ways your doctor can fight your mesothelioma. Every patient is different and has a unique set of treatment options. Your treatment plan will depend on the type of mesothelioma you have as well as its severity, your health, and other factors. Here’s a look into the treatments your doctor may recommend. As with many other types of cancer, the most straightforward way to treat mesothelioma is with surgery. A skilled surgeon can remove most or all of your cancerous cells. Keep in mind that surgery isn’t an option in every case. It’s most common for patients whose mesothelioma is in the earlier stages. The sooner you get your cancer diagnosis, the more likely it is that a surgeon can cleanly remove your tumor. Chemotherapy is among the most common treatments for mesothelioma. As with many other cancers, chemotherapy medications can often kill cancer cells. In most mesothelioma patients, doctors use a combination of chemotherapy and surgery. They might start with surgery and use chemotherapy to kill the cancer cells they aren’t able to remove. In other cases, chemotherapy is the first step. Doctors use the chemotherapy to shrink tumors and reduce cancer that has started to spread so they have a better chance for a successful surgery. There are two types of chemotherapy that can help with mesothelioma. Systemic chemotherapy, in which doctors use an intravenous line to provide the medication, is the most common. However, some patients are better suited for intraoperative chemotherapy. In this method, surgeons inject the medication directly into the cancer cells. Radiation therapy is another staple in treating a wide range of cancers, including mesothelioma. The radiation targets and kills cancer cells in your body. Radiation isn’t a first-line treatment for mesothelioma because it isn’t as powerful as surgery and chemotherapy. It does have fewer side effects than chemotherapy does, though. For that reason, it’s often used instead of chemo in patients who aren’t healthy enough to receive chemotherapy. Doctors typically use it in the same way they use chemo: to battle remaining cancer after surgery or to shrink tumors before surgery. The treatments above are all ways to fight mesothelioma in hopes of remission or a longer life expectancy. For mesothelioma that has spread and progressed to its later stages, though, they may not be helpful enough to warrant the risks. In these cases, doctors treat the mesothelioma symptoms to make the patients as comfortable as possible. This could include pain management and treatments to improve a patient’s breathing. Some mesothelioma patients develop fluid that builds up around their lungs. This is uncomfortable and can make breathing difficult. Doctors can perform surgery to remove this fluid and restore the patient’s breathing. Are There New Mesothelioma Treatments On the Horizon? While there are a variety of treatment options, mesothelioma still has a poor prognosis. Considering how aggressive the illness is, medical researchers are looking for more effective ways to treat it. The good news is that there are plenty of new treatments in the works. When you have cancer, your immune system notices the problem and starts to attack the cancer cells. The problem with mesothelioma is that the cancer grows faster than your immune system can fight it. Immunotherapy is a treatment that boosts your immune system. The goal is to make it strong enough to fight the cancer on its own or alongside other treatments. Some people have referred to immunotherapy as a “cancer vaccine” because it works in a similar way. As you might guess from its name, virotherapy uses viruses to fight mesothelioma. Doctors use specific viruses that target cancer cells and introduce them to the affected area. We always hear about sun exposure causing cancer, but in the right hands, it can treat cancer too. This is the basis for photodynamic therapy or PDT. During PDT, a doctor injects the patient with a medication that makes their cells more sensitive to ultraviolet light. That medication fades from healthy cells in a short period of time but sticks around longer in cancer cells. At this point, your cancerous cells are sensitive to UV radiation but your other cells aren’t. The doctor applies direct UV light to your cancerous area so the radiation can kill the cancer cells. Cryotherapy means to “freeze” tissue off your body. It’s one of the first lines of defense against skin cancer, and now doctors are using it for mesothelioma too. The extreme cold freezes cancer cells and kills them without affecting healthy cells. Sometimes the best way to fight an enemy isn’t to increase your army but to decrease theirs. That’s the theory behind gene therapy for mesothelioma. During gene therapy, doctors change your cancer cells’ genes to make them easier to kill. They usually do this by crafting a virus that targets cancer cells and introduces these changes to their genes. How Much Do Mesothelioma Treatments Cost? It’s always scary to hear that you have mesothelioma and for many reasons. You don’t just have to think about fighting for your life. You also have to think about how to pay for that fight. You may assume you’re in a good financial position if you have health insurance, but that may not be the case. Patients often don’t know about the many limitations their insurance plans have until they need them. It’s also important to note that experimental treatments are rarely covered by insurance. Those emerging treatments are many mesothelioma patients’ best chances for remission, but they can also create financial mountains you can’t climb alone. The treatments and medications are a mesothelioma patient’s first thought when it comes to finances. They may be a large part of your bill, but they’re not the whole picture. One expense patients forget is the cost of their at-home care. You may need nursing help while you suffer from the side effects of chemotherapy. If you have surgery, you could also need help during your post-surgical recovery. Mesothelioma is a rare and advanced type of cancer. As a result, there aren’t as many doctors who can treat it as those who can treat breast cancer, for example. Depending on where you live, you may need expensive travel plans every time you get a treatment. If, for instance, you need eight rounds of chemo and a surgery, that’s nine trips to your specialist. Considering how serious mesothelioma is, it’s no surprise that it can have long-term consequences. As happy as patients may be to go into remission, they can still have long-term complications from their surgery. Even chemotherapy can have side effects that last years. For some patients, that means years of additional healthcare costs. Mesothelioma is a serious condition that comes with serious treatment needs. You may be looking at months or years of medication and therapy. In addition, the complications could end your ability to work. It’s crucial to know that you don’t have to handle this financial burden on your own. It’s likely that your mesothelioma developed because asbestos manufacturers or other companies were negligent with your health. While the legal system can’t take away your unjust illness, it may be able to take the financial burden off your shoulders. If you have mesothelioma, contact our law firm to find out if you have a case.